The Otto-Warburg-Medal is regarded as the highest award for biochemists and molecular biologists in Germany. With the medal, the German Society for Biochemistry and Molecular Biology (GBM) honors pioneering achievements in the field of fundamental biochemical and molecular biological research on an international level. When GBM presented the medal on October 3, the occasion marked the 50th year anniversary of the presentation of this award. [caption align="alignright"] At the Otto Warburg Medal award ceremony: Angelika Lex, VP of Academic Relations at Elsevier; Professor Roger Goody, President of GBM; and Professor Randy Schekman, winner of the 2013 award. [/caption]This year's award went to Professor Randy W. Schekman, an American researcher of molecular and cell biology at the University of California, Berkeley, who was recognized "for his research on the regulation of protein transport processes in cells (and demonstrating) that disturbances in these processes are the cause of several genetic diseases and other genetic defects." Since then, Dr. Schekman has been awarded the 2013 Nobel Prize in Physiology or Medicine, sharing the distinction with Dr. James E. Rothman and Dr. Thomas C. Südhof "for their discoveries of machinery regulating vesicle traffic, a major transport system in our cells." By recognizing the accomplishments of extraordinary researchers, the medal serves as a reminder of the outstanding achievements of German scientist it was named for, Dr. Otto Heinrich Warburg, who was awarded the Nobel Prize in Medicine in 1931. The first award winner was Dr. Feodor Lynen in 1963, who went on to receive the Nobel Prize in medicine the following year. Over the years, the medal has continued to honor internationally renowned scientists, many who have also become Nobel laureates. In our recent interview, GBM President Roger Goody spoke about the award, the impact of scientific awards in general, the current and future state of science in Germany — and his perception of Germany as a research nation. [caption align="alignright"] Roger Goody, PhD[/caption]Professor Roger S. Goody is Director of the Max Planck Institute of Molecular Physiology Dortmund in the Department of Physical Biochemistry. He studied chemistry at the University of Birmingham, UK. In 1970, he became a postdoctoral fellow at the Sloan-Kettering Institute for Cancer Research in New York. Since then, Dr. Goody has been living and working in Germany, starting as a post-doctoral fellow at the Max Planck Institute for Experimental Medicine in Göttingen. In 1972, he became a research staff member at the Max Planck Institute for Medical Research in Heidelberg. Later he qualified there as professor in biochemistry/biophysics, and in 1990 he was appointed associate professor. 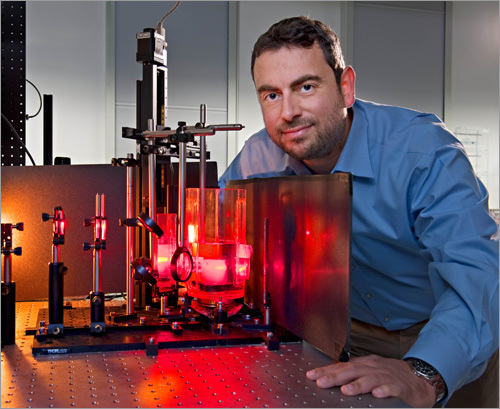 Since 1993, he has been a director at the Max Planck Institute in Dortmund. 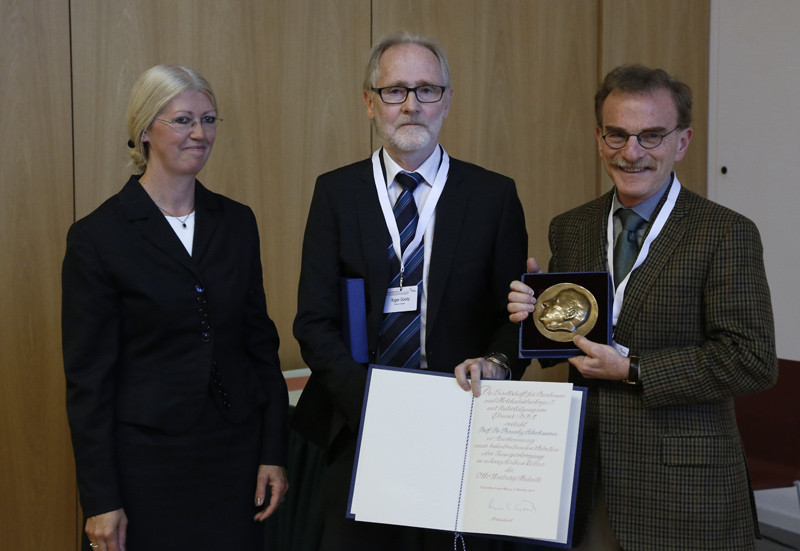 In April, he became President of the German Society for Biochemistry and Molecular Biology (GBM). The Otto-Warburg-Medal has been awarded since 1963. How does it feel to be President of the GBM in this important jubilee year? First, I should say that it's an honor to be President of the society, and as far as the Otto-Warburg-Medal is concerned, it's a special honor to be presenting it on its 50th anniversary. Looking at the list of recipients, I feel humbled as well as honored. What importance do science awards generally have in increasing the visibility of scientific achievements? What were the achievements of OWM over the past decades, both nationally and internationally? Scientific awards are important indicators of the quality of research and serve to draw the attention of the public as well as other scientists to both the recipient and the area he or she represents. As far as the field of research is concerned, recognition by the award of a prestigious prize can be an important sign that a new or emerging field has become established to the extent that the results are considered of high significance and relevance. A further effect comes from the desire to win prizes, which can encourage scientists to work hard and well towards achieving this aim. The Otto-Warburg-Medal has often been awarded to outstanding German scientists working in Germany, but also often to scientists working in other countries. Prizes awarded to scientists in other countries help to establish and cement relationships to the country conferring the prize, and this applies in no small measure to the Otto-Warburg medal in many individual cases. This year's award went to Professor Randy Schekman. Why did the jury choose him? 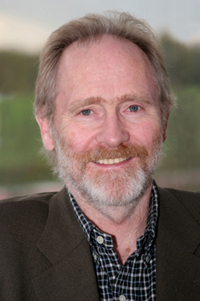 Randy Schekman has been a major figure in cell biology for several decades. Using yeast as a model organism, he developed the most important methods that have led to an understanding of how cell components, in particular proteins, are transported between compartments within the cell. Understanding these processes is absolutely crucial to understanding how cells function in health and disease. What role does the GBM play in supporting science and the increasing value of bringing biochemical and molecular biological research results to the general public, both in Germany and internationally? The GBM is involved in the promotion of the basic biological sciences, in particular their molecular aspects. It represents students, professors and researchers at all levels, and is a forum for the problems they have with their work or studies. It is directly and indirectly involved in education in the basic biological sciences and awards a number of prizes in addition to the Otto-Warburg Medal that are meant as rewards and incentives for outstanding individuals. Amongst these prizes are those for master students and young investigators. International connections include the membership of the umbrella organization FEBS (Federation of European Biochemical Societies). In 2015, there will be a joint FEBS/GBM Conference in Berlin with about 2,500 international delegates. Do you think that science awards act as a motivator for young scientists? Definitely, but not primarily because of the monetary value of the awards. More important is the recognition and confirmation that the researcher is on the right track with respect to science, particularly in the case of the more junior prizes. The higher prizes are then something to be aimed at in later stages of their career, although it is usually not productive to have winning prizes as the primary object of doing research. You are a Briton. Why have you chosen a scientific research career in Germany? I never made a conscious decision to pursue a career in Germany. After my post-doc in New York, the most attractive offer I had was from the Max-Planck-Institute of Experimental Medicine in Göttingen. After that, I moved to other Max-Planck Institutes where I could pursue my scientific interests. There was never a good scientific reason for returning to the UK or the US, although I did consider it seriously a few times. Germany is a very good place to do research if you are fortunate enough to be in the appropriate institute. How significant do you consider the German scientific community in relation to the rest of the world? The obvious heavyweight in science on the global scale is the USA. After this, in terms of production of scientific results, there is a group including Germany, the United Kingdom, Japan and France, with a rapidly growing contribution from China, and important smaller contributions for countries such as Australia and Canada. It is very difficult to assess the relative values according to objective parameters, but if citation frequency (i.e., how many times scientific articles published in a particular country are referred to in other articles) is used for this purpose, the USA leads clearly, with Germany and England (without Scotland) almost equal in second place. This feels like a realistic assessment of the relative contributions. Have you noticed any significant changes in the transnational cooperation of scientists over the last few years? Has collaboration work improved, according to your experience and what would you view as the possible factors driving this exchange? Does the OWM also aim at fostering co-operation across borders? Long-distance cooperation, including international, has become easier because of modern communications technology, which has probably contributed to increased international collaboration. One reason for an increase in such cooperation in recent years is the increasing cost of applying modern techniques that require expensive apparatus that cannot be duplicated everywhere. There has also been an increase in the number and accessibility of international conferences, and attendance at such meetings is often the starting-off point for collaborations. The OWM, which often honors scientists from other countries, and more generally the conference organizing and supporting activities of the GBM, make a major contribution here. What wishes do you have for the Otto Warburg Medal Award for the next 50 years? 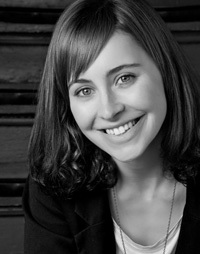 [caption align="alignright"] Stefanie Schieke[/caption]Stefanie Schieke is a consultant with the communications firmAPCO Worldwide, leading media outreach around the 50th anniversary of the Otto-Warburg-Medal awarded by the German Society for Biochemistry and Molecular Biology (GBM). As a humanities graduate, she "dared to venture into the natural sciences" to interview Professor Goody about the award and the state of science in Germany.